Imagine it is late January or early February and you look out your window to see purple, white and striped crocus blooming in your flower bed. Next come the daffodils spreading their golden cheer around. In March, the parade of tulips begin-bright red, orange, purple or pink. When these spring beauties bloom in my landscape I feel a joyful sense of surprise. Their pretty flowers make me smile. Add to that a little unexpected sunshine and the native bees gathering pollen and I experience a tranquil, uplifting moment. After the dreary days of January, I need something to perk me up. I can’t imagine not having flowering bulbs in my landscape. Ordering them for the nursery has been one of my responsibilities for almost 30 years. I get to look at the catalogs, check out the new varieties and decide what the Garland Nursery customers might like to grow. There are so many ways to add spring flowering bulbs to your landscape: in pots, large drifts, small bunches, or even in the lawn. One of my favorite ways to use them is combined with herbaceous perennials, those bloomers that die down each winter. Crocus and daffodils work well with plants that pop out of the ground in April or May. The bulbs add color when there is just bare ground and the perennial covers up the bulb foliage as it begins to look scruffy. Or plant bulbs that will bloom at the same time as other plants. Alliums, with their starry, firework flowers look great with daylilies, roses, floxglove and lupines. Daffodils work nicely with hardy geraniums, forget-me-nots and heath. One year I had a very happy, unplanned combination of a lavender oriental poppy, Black Parrot tulips, and Cecile Brunner bush rose. Most bulbs do better in a well-drained soil. 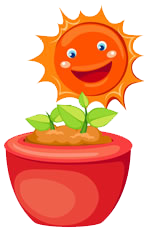 Improve the soil with organic matter, plant on mounds, or plant in containers. The bigger the bulb the larger or more numerous the flowers. In the Willamette Valley plant them from September-December with the very best time being October and November. This year’s leaves produce next year’s flowers. Most bulbs need 6 hours of direct sun per day until their foliage dies down. Fertilize bulbs. Mix Espoma Bulb-tone into the soil when you plant the bulbs. For established bulbs, apply it as the bulbs pop out of the ground. Don’t cut off or tie up the leaves while they are still green. See #4. Crocus and daffodils “naturalize” (multiply). Grape hyacinths (Muscari) and Bluebells take over. However, most tulips don’t come back for more than a couple years. Your best bet for tulips that keep on going is to pick Darwin Hybrids (like Pink Impression and Parade), Emperor tulips, or a species tulip (such as greggii varieties). Or pick your favorite one and plant new bulbs each fall. Now for some of my favorite bulbs and a couple new ones…. T. humilis violacea (also known as T. pulchella violacea: a species tulip that comes back nicely. This is an heirloom from 1860. It grows 4-6″ tall with purplish-rose flowers and yellow base inside. T. greggii ‘Red Riding Hood’: Dramatic mottled foliage and brilliant carmine-red flowers with a black base. A mid-season bloomer that grows 10″ tall. ‘Couleur Cardinal’: an heirloom from 1845. It blooms early (late March-April depending). The scarlet-red, flushed plum flowers are fragrant. ‘Princess Irene’: Fragrant variety introduced in 1949. Flowers are an unusual soft orange with warm purple accent. ‘Apricot Beauty’: the first tulip I ever grew and still a favorite. Fragrant (this is a theme), soft salmon-rose with apricot edges. ‘Pink Impression’ and ‘Red Impression’: These Darwin hybrids have huge flowers on strong, tall stems. Blooms mid-season (April). 20-22 inches tall. ‘Ballerina’: A lily-flowered variety. It had a citrus fragrance. Marigold-orange flowers flare out at the top. ‘Orange Angelique’: A double late or peony tulip with large (up to 4 inches across) flowers. This is a newer variety that is a cousin of the highly popular Angelique. Best if protected from rain. ‘Black Parrot’: Heirloom circa 1937. A very dark purple (there isn’t really a truly black tulip) with fringed edges. A late bloomer (usually May). A new Beautiful Blend-‘Twilight Sparkle’: Fringed tulips in white and purple. Tete a tete: Cute and short (like me)! Very early blooming, with 2-3 flowers per stem. The petals bend backwards slightly (reflexed is the term). They are buttercup-yellow with a darker yellow trumpet, although it never appears two-toned to me. This variety is great en masse or forced in pots. ‘Flower Record’: Scented 1940’s naturalizer with white petals, a yellow base and cup-shaped yellow cup edged in red. ‘Professor Einstein’: 1940 introduction. Fragrant, naturalizer is white with a disk-shaped reddish-orange cup. ‘Pheasant’s Eye’: This is a 1850 heirloom. A variety of “Poet’s Narcissus”. It is fragrant. The flowers have reflexed white petals with a small, red-edged yellow cup and green eye. ‘Wave’: A double flowered Daffodil with an ivory perianth behind a lemon-meringue frilled cup with white highlights. Snowdrops: Double or single or giant. Great naturalizers. These are my Edelweiss. Crocus: The first harbingers of spring. ‘Orange Monarch’ is an unusual color but I love the striped ‘Pickwick’ and ‘Vanguard’ a 1934 heirloom I stopped carrying because I was the only fan. Hyacinths: ‘Delft Blue’ is still my favorite. A. christophii: I mixed this one in with my Happy Returns daylilies. A 1884 heirloom. Also called ‘Star of Persia’. It sounds exotic. A. aflatunense ‘Purple Sensation’: A 2-2 1/2 tall grower with dense purple flowers. It blooms in late May or early June. A. ‘Silver Spring’: new to us this year. It looks intriguing. Anemone blanda: Grecian windflowers. The name sounds carefree and they are. They do well in my garden. Available only in mixed colors-blue, white and pink. Leucojum: Summer snowflake is the common name but they really bloom in spring. I’m guessing there is more than one species. They are like snowdrops only taller.